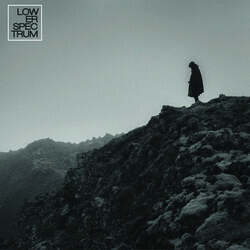 Lower Spectrum is the working pseudonym of producer/composer Ned Beckley. Recently having relocated from Melbourne to Fremantle, W.A, Beckley has meticulously pieced together the infectious, kaleidoscopic sounds of his new EP titled, Traces. Deep laced vibrations, warm analogue colours and aural synthesis is constructed and deconstructed in the complex sonic architectural formations of Traces. The kaleidoscopic signature sound ebbs and flows from multi-layered, subtle textures to explosive bass laden rhythms that reveal a culmination of unique compositions and absorbing aesthetics. Drawing detail into infectious hooks and motifs, Lower Spectrum proves that music production can contain the grand complexity of a film score and still be suitable for the dance floor. From the swelling orchestral rise of the pulsating single, 'Khlever', to the grandiose gospel submersion of ‘Glimmer’, Traces reveals an exciting unpredictable sound difficult to pin down.